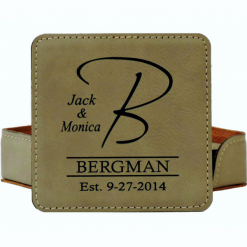 11 Styles to choose from, after you select which one you like best you can checkout and click note to seller to tell me your personalization details. 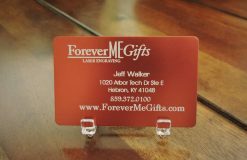 This is a great gift for that special person. 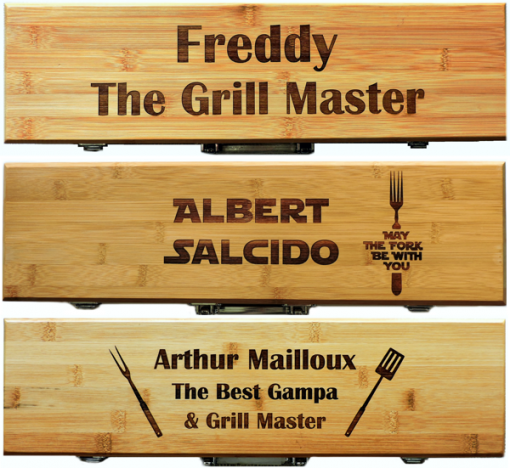 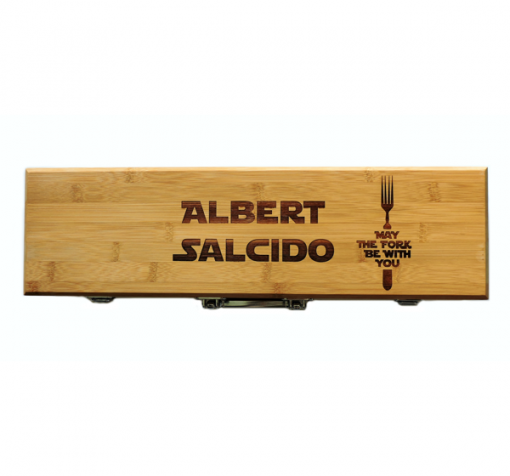 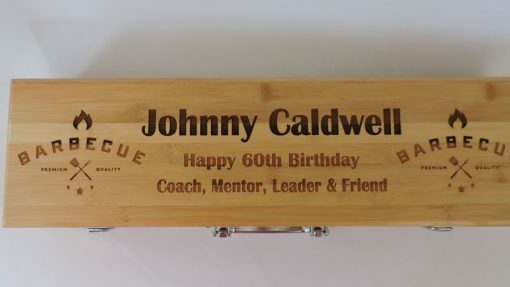 A Personalized BBQ Set in an eco friendly Bamboo case that is very nice all by itself! The case is personalized and it acts as a great, lightweight, transportation for your spatula, fork, and tongs all nestled in so no rattling around. 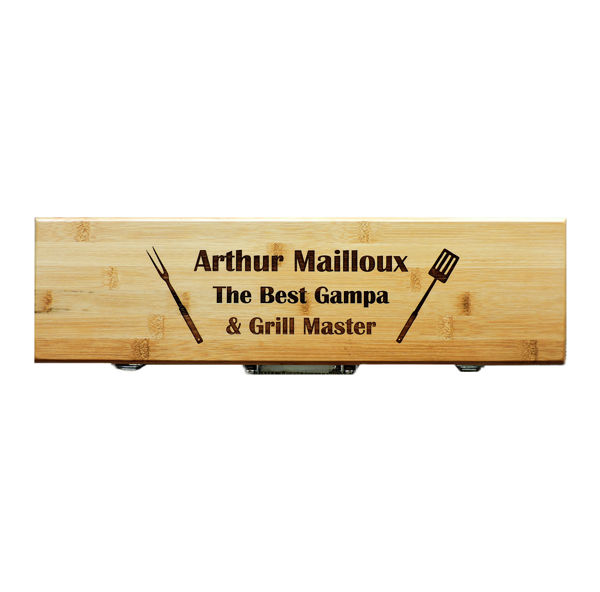 The case is made out of high-quality bamboo and the case is equipped with securing latches and a rugged handle to stand up to many grill outs, tailgating, or camping. 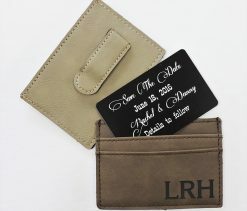 • Laser engraved text and images on the top of the case. 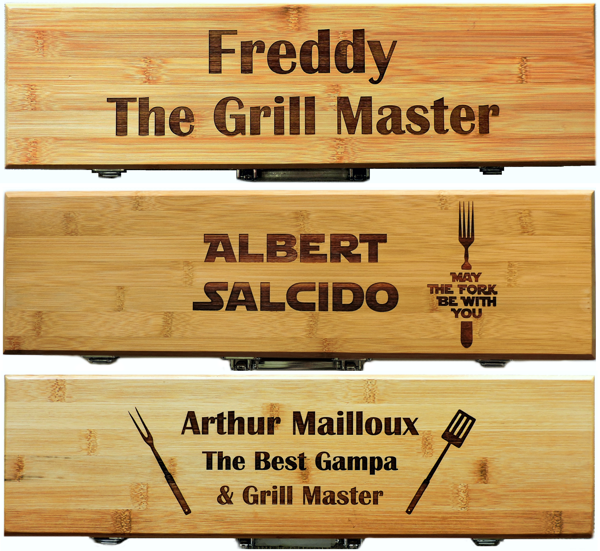 • Perfect gift for the Griller Easy to order, add to cart- choose design-note to seller- let me know what you want engraved. 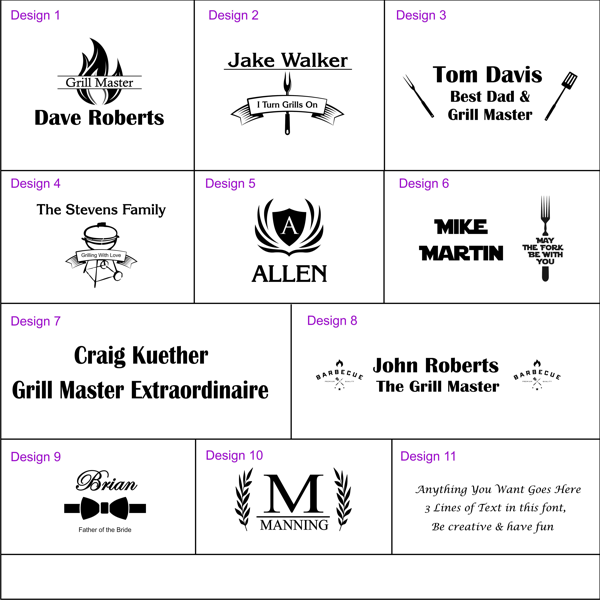 Orders approved prior to 1pm e.s.t. 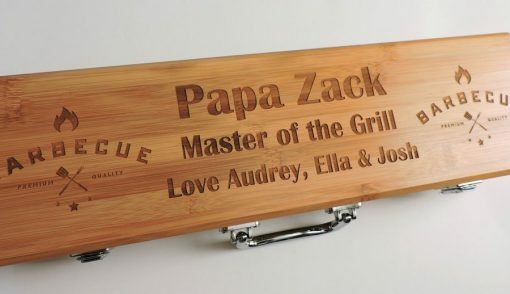 are engraved and shipped same day( M-F).